Just recently, I’ve got a new Raspberry Pi 3 Model B and started experimenting with it. I’ve installed the latest Raspbian (Jessie Lite) on it because it’s the officially supported operating system and more importantly, it works out-of-the-box. I was thinking of writing some applications for it so I decided to install Java since it’s the programming language I’m most familiar with. There are basically two options available for Raspbian — you can either use OpenJDK or Oracle JDK. There are some limitations of OpenJDK for ARM systems which make it slower so I’ve decided to stick with Oracle JDK. 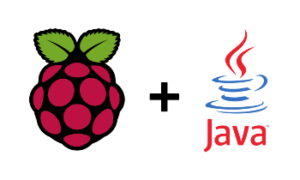 You can install oracle-java8-jdk package from the official Raspbian repositories but it only provides an old version of Java (8u65). If you want to use the latest version, you need to download the JDK directly from the Oracle’s website. Since Raspberry Pi is powered by ARM processor and Raspbian is a 32-bit OS, choose the Linux ARM 32 Hard Float ABI version. If you see similar output, you have successfully installed Java 8 on Raspberry Pi. Looked at several ways. Not only is your explanation simple, it works. At this time though instead of version 111 it is 131. If only Azul Systems documentation on this subject was as clear and simple. Thank you.